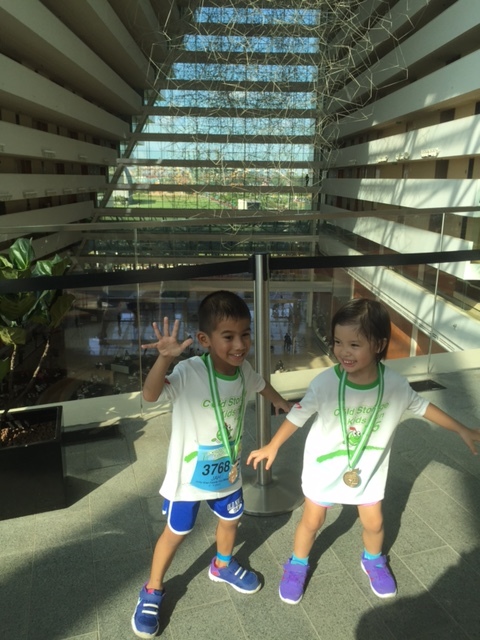 Jah and Bella just completed their 2nd Cold Storage Kids Run yesterday and they are already looking forward to next year’s race! Mummy on the other hand is still recovering from getting up at 5am. :p Despite the rain that was still falling as we were driving to Gardens by the Bay at 630am, their spirits were not dampened one bit by it. Thankfully the rain stopped just as we were walking to the event area and the rain left us with muddy puddles (our shoes and freshly groomed car weren’t too happy about that) and a nice overcast sky (which made the humidity so much easier to bear with). The kids of course didn’t care about any of that and were just really excited that were making our way to the race. Bella and Mummy before the race starts! A milo boost before the race! While we were able to race in the same category (Jolly Kiwi) last year because Bella was 2 and Jah was 4. We had to divide and conquer this year, with Bella still in the Jolly Kiwi Category (2 – 4 year olds) and Jah in the AIA Vitality Category (5 & 6 year olds). I was abit apprehensive about splitting up because Bella raced the whole way on Joel’s shoulder last year and I was going to race with her this year. I kept reminding her that Mummy was not going to carry her and that she really had to race on her own. I have to say I am extremely proud of this little lady because she showed me a determination that I have not seen in her yet. She raced the entire 800m on her own and only asked to hold my hand at around the 400m mark, right about the same time when I noticed that she looked alittle tired and was slowing down. Good job Bella! Mummy is so proud of you! After finishing our race and collecting our medals, we headed over to the barriers near the Finish Line to wait for Jah and Joel. Even though their category was just after ours, we had more than enough time to find a spot and wait for them to race to the Finish. In fact we waited quite abit because we were in the first group of Jolly Kiwis who were flagged off and our boys were in the 4th Group of the AIA Vitality category to be flagged off. Although I did have a little scare when I saw Jah reach the Finish Line. Mummy’s instinct told me something didn’t look quite right when I saw him approach the finish line. He looked a little too pale for my liking. When I finally met him at the medal collection area, he complained that he had a tummy ache and that he wanted to lie down and sleep. I carried him and he immediately flopped into my arms, rested his head on my shoulders and went almost limp. My heart was in my throat at that point as I saw him turning whiter. 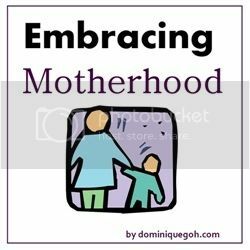 I quickly realized that he might be having gastric pains and low blood sugar because he had refused breakfast in his excitement this morning and only had 2 cups of milo from the Milo truck. Thankfully a nice lady happened to be giving out packets of sponsored chocolate milk and vanilla bread and I quickly gave him some chocolate milk and he instantly felt better! Colour started returning to his face and lips and he had the energy to stand on his own again. Phew!!! The poor boy did not realize that we had prepared bread for him in our back pack and he had thought that he wasn’t allowed to eat his breakfast since we had left the house already. Lesson learnt to feed them before their race and thank goodness for the sponsored refreshments at the race!! Quite literally our life savers!!! I am truly proud of his boy who managed to finish his 800m despite the discomfort and pain that he must have been feeling. I think it might be true what they say about boys not wanting to let their daddies down. I still can’t believe how different my babies were during the race last year versus this year and despite having to be in different categories and Jah feeling alittle sick, I am kind of glad that I got to see the determination in them. My little babies last year! 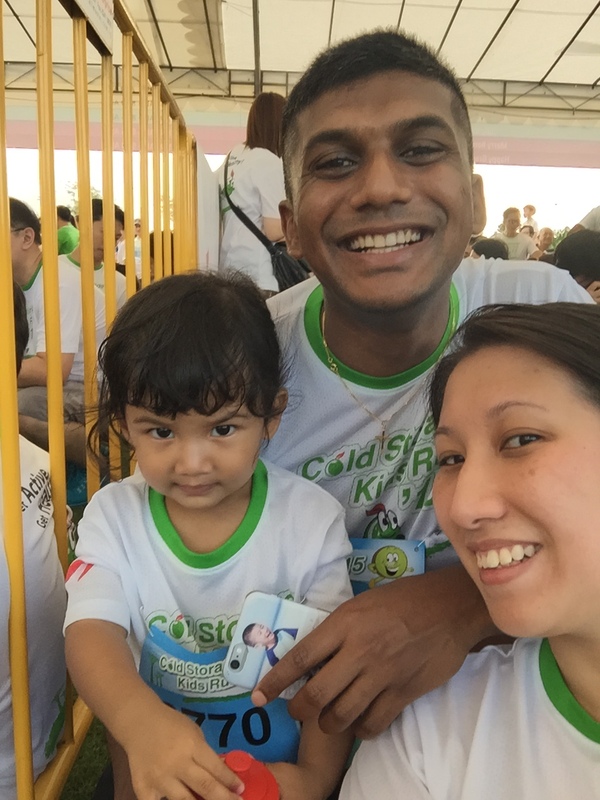 Disclaimer – We were invited to participate in the Cold Storage Kids Run 2016. No monetary compensation was received and all opinions and photos are our own. 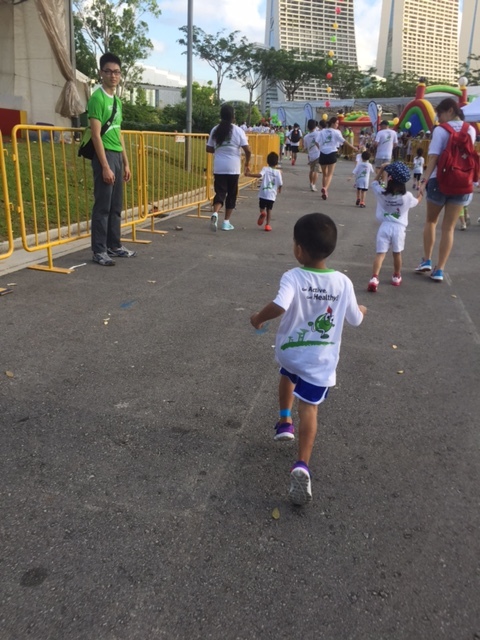 JahBella participated in their first race during the Cold Storage Kids Run 2015 last year and thoroughly enjoyed themselves. In fact they have been bugging us to find out when the next race will take place and which categories they will get to race in. 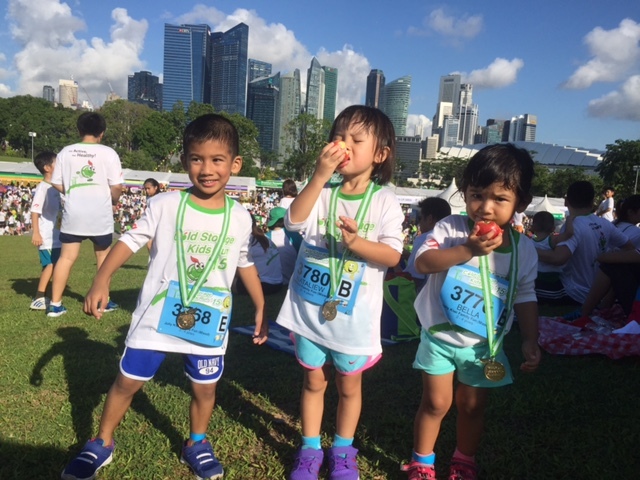 So you can only imagine their excitement when we told them that the Cold Storage Kids Run will be back for its 9th consecutive year and that we will be taking part! 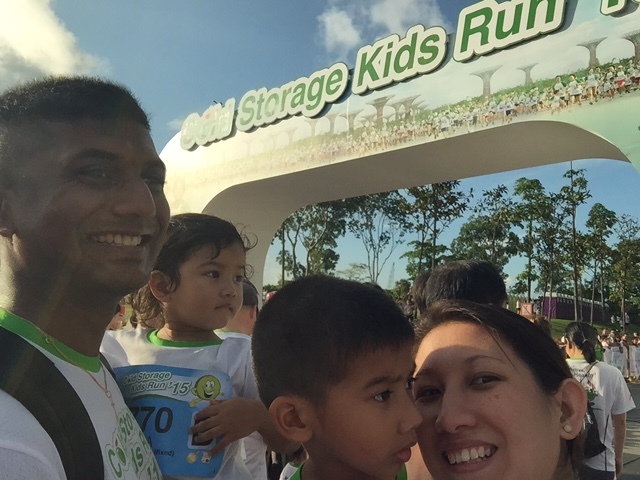 While there is definitely no lack of runs/ races/ marathons in Singapore, my kids are strangely fixated on the Cold Storage Kids Run even though it isn’t ‘attached’ to any fancy cartoon/ animation character. 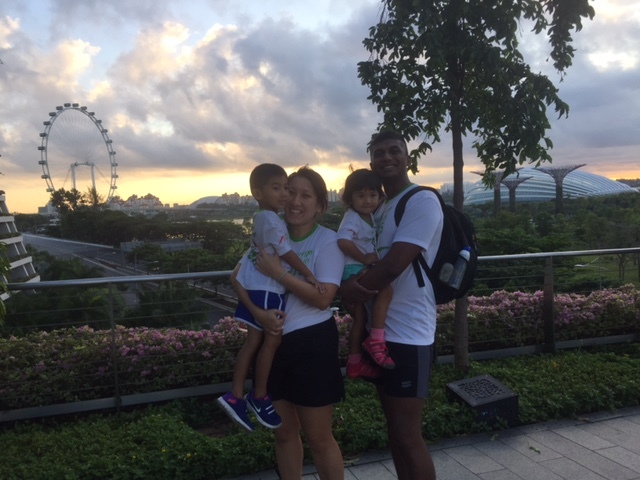 If you read about our experience last year [click here], you would know that we benefited from JahBella being close in age because they got to participate in the same category, the Jolly Kiwis for 2 – 4 years old. Well ok, they didn’t really participate side by side, given that Jah ran the whole 800m while Bella got carried on Joel’s shoulders almost from the starting line. 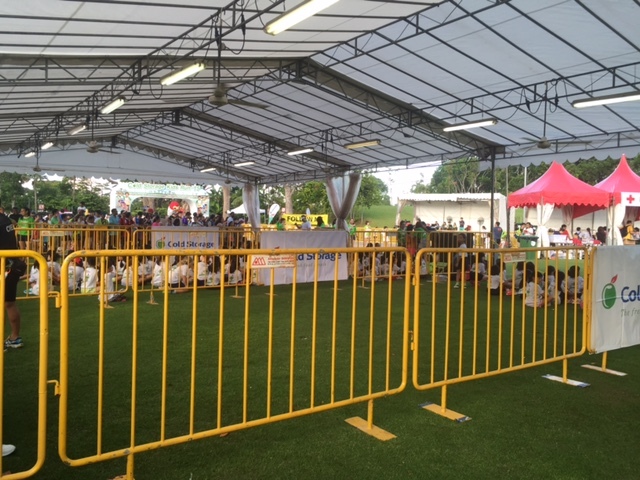 But the awesome part was that the littler ones could move at their own pace and not be worried about being jostled by much older kids (which normally happens when every kid from 2 to 12 ends up in 1 category). In fact we saw many parents carrying their little ones in carriers or on their shoulders and the small ones were just really happy to be part of all that 800m excitement. 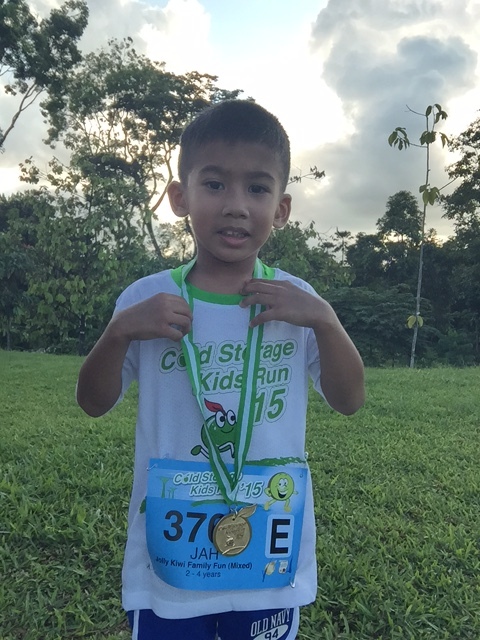 The one thing that I absolutely love about the Cold Storage Kids Run is the fact that the races are very well categorized by age. 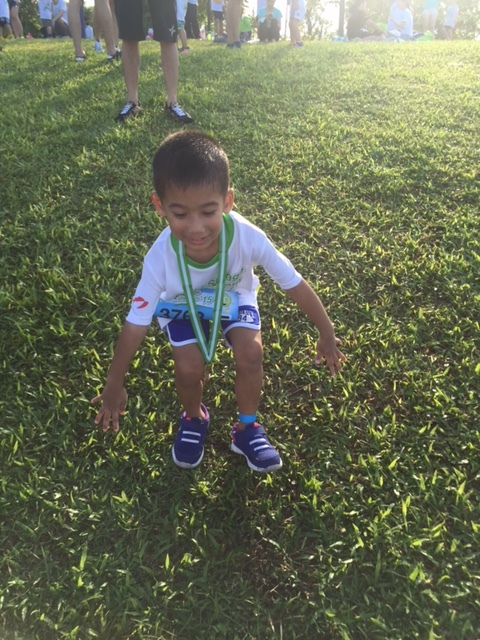 It is truly an out and out Kids Run which caters to the various ages in different categories as well as distances which the kids can cover comfortably regardless of whether it is in ‘fun’ mode or ‘competitive’ mode. 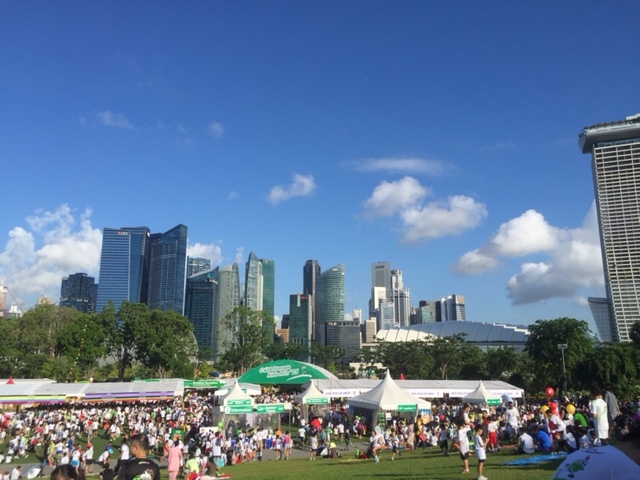 There is even a stroller race if that is your preferred mode of ‘transportation’ 🙂 The ‘after party’ carnival is also a huge draw for the little ones to spend time with family and friends so yes gather everyone for a fantastic Sunday morning out! 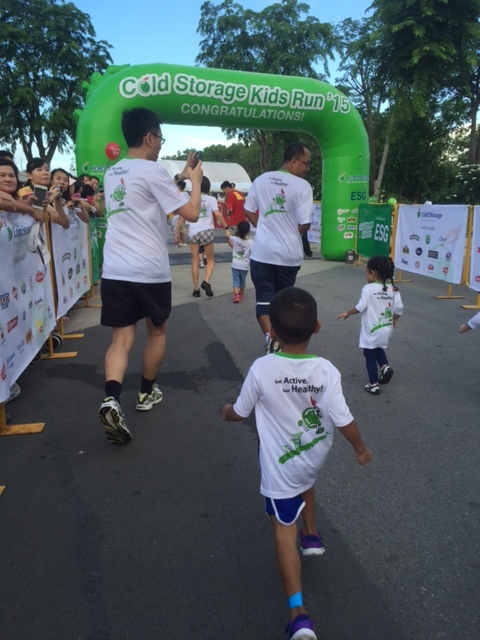 The Cold Storage Kids Run 2016 will be happening on 22 May 2016 (Sunday) at The Meadows @ Gardens by The Bay (7am to 12pm). Race/ reporting times will depend on which category you have signed up for. For more info on race categories and fees, please refer to this link. Do note that the registration will close on 3rd April 2016 or once the race capacity of 5,000 has been reached so make sure that you don’t miss out! However if you have missed out on the Early Bird Registration Window, fret not! 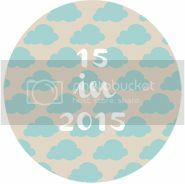 Here is a promo code REFBLOGGER16 that will entitle you to a 10% discount off the registration price.